With the cricket World Cup due in a few weeks, the timing of this article is not great, but then I was never known for good timing even as a batsman, so what the heck! Every time I watch 50-overs cricket, I realise that it is my least favourite format. Yes, the World Cup is just round the corner and it is the biggest, flagship event in cricket. But, that is not because it is 50-overs cricket, but because it is the World Cup, and it comes once in four years. 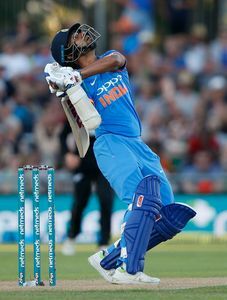 Barring the starting few overs and the death overs—which are the six overs at the end, as Harsha Bhogle rightly calls it—it is a non-aggression pact between two teams. No team is really desperate to take the initiative in these 35 overs or so phase; the bowling team is happy to concede four to five runs an over, while the batting team is happy to pick four to five runs an over. Anyway, what I truly dislike about 50-overs cricket is the ridiculous imbalance it has; it is such an easy game for the batsmen, but a tough one for the bowlers. This imbalance exists even before the game starts, because of the basic rules. When a batsman is batting well, he can keep batting the whole 50 overs; a bowler cannot bowl more than ten, even if he is bowling the spell of his life. Yes, I know T20 cricket also sets limit on bowlers, but because of its very short duration, all the action in it is compressed. So a little event has a massive impact on the game. A couple of dot balls for instance, and the batman is as nervous as the bowler, and this brings in some balance in T20s. But in 50-overs cricket, well, if you are not finding your touch as a batsman, no problem, take your time, take an over or two or even more to get into the “groove”. That is is why I do not care much about top run-getters in ODIs. First, they are mostly openers, and once you have some clout in the team you can ensure that you are opening the innings in 50-overs cricket. For batting greats like Tendulkar and Virat, getting 100s in ODIs would be the easiest thing to do at the international level. And, that is why I have always believed that the true greatness in Tendulkar’s feat of hundred 100s were his 51 Test hundreds, not his 49 ODI hundreds. You will find in Test matches, so also in T20s, bowlers getting ‘man of the match’ awards as much as the batsmen do. But, this is not the case in 50-overs cricket. If Tests are about batsmen defending or getting runs and bowlers trying to get batsmen out, 50-overs cricket is mostly about picking ones and twos, and hitting the odd boundary. Yes, even today, it is mostly about ones and twos. In T20s, well, the batsman is under pressure to hit a six of two balls, and as the bowler is in denying that, pressure is equally divided. Fifty-overs cricket, as I see it now after all these years, is for batsmen to make a name for themselves. Know any legendary one-day bowler? No. And yes, it is also ten overs too long. So many little innovations have been tried to infuse life in 50-overs cricket, when the simplest thing to do is to make it 40 overs. That will reduce the middle-overs’ boredom, and most importantly batsmen will have lesser time in their comfort zone, and with it, less imbalance in the game. But, the World Cup will be 50-overs cricket, so along with finding out who is going to be the champion, let us also see which batsman is the man of the series in this World Cup.